Fabricate, assemble, install, and repair sheet metal products and equipment, such as ducts, control boxes, drainpipes, and furnace casings. Work may involve any of the following: setting up and operating fabricating machines to cut, bend, and straighten sheet metal; shaping metal over anvils, blocks, or forms using hammer; operating soldering and welding equipment to join sheet metal parts; or inspecting, assembling, and smoothing seams and joints of burred surfaces. Includes sheet metal duct installers who install prefabricated sheet metal ducts used for heating, air conditioning, or other purposes. Sheet metal workers use saws, lasers, shears, and presses to do their job. As a result, they should have good mechanical skills in order to operate and maintain equipment. Sheet metal workers use computer-aided drafting and design (CADD) programs and building information modeling (BIM) systems as they design products and cut sheet metal. Sheet metal workers in factories may spend many hours standing at their workstations. Sheet metal workers need good hand-eye coordination and motor control to make precise cuts and bends in metal pieces. Sheet metal workers must be able to lift and move ductwork that is often heavy and cumbersome. Some jobs require workers to be able to lift 50 pounds. 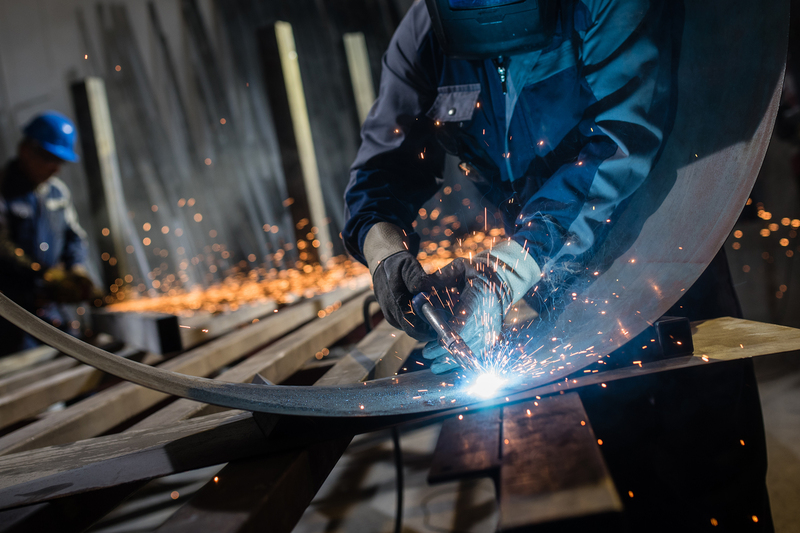 Sheet metal workers must calculate the proper sizes and angles of fabricated sheet metal, as it is important to ensure the alignment and fit of ductwork.